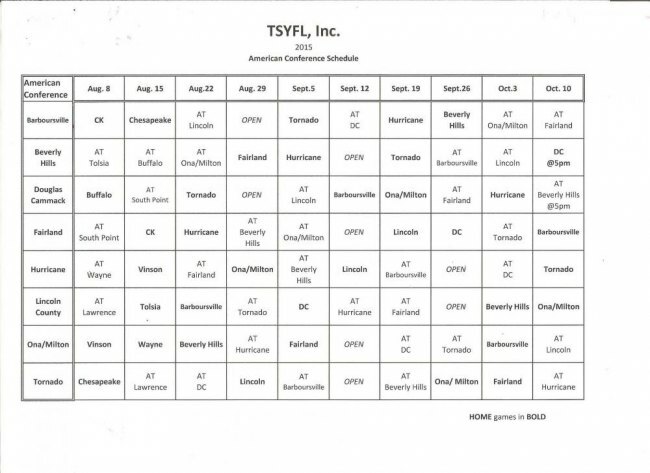 The Tri State Youth Football League has announced its 2015 schedules and participating teams. League play began Aug. 22. The first two weeks were scrimmages.